It's a good thing I don't order "unmentionables" through the mail because I always have a large audience when I open any packages. Even the neighbor kids crowd around like I'm going to pull a pizza out of the box. (Did you know there is such a thing as mail-order pizza?! Ewww.) So I open my package and anticlimactically pull out the packets of seeds and my kids are still frozen to their spots and my A girl says, "But... WHERE ARE THE COOKIE CUTTERS??!!" We were thisclose to complete anarchy. January 19th will now and forever be known as The Day Without Cutters at our house. Thank goodness we had a giant pile of brand new cutters to play with anyway or things might have gotten a little out of hand today. And best of all -- one of them is a fantastic shape of joy and sunshine and everything that is good in the world. 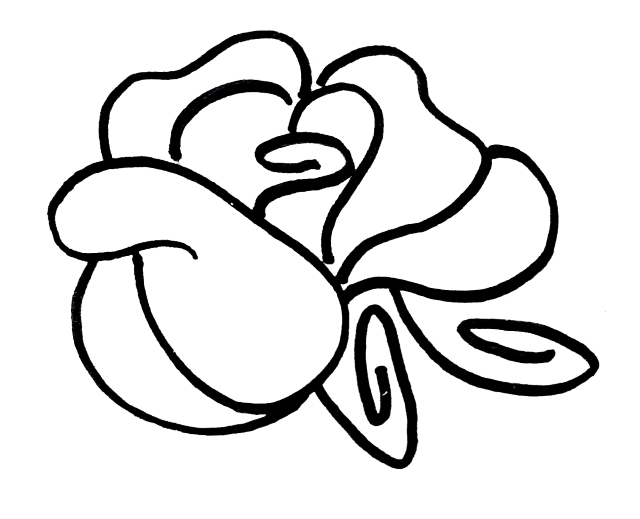 And by that I mean...this rose. Want to make one with me? 1. Bake your cookies. Try not to eat them all. 2. 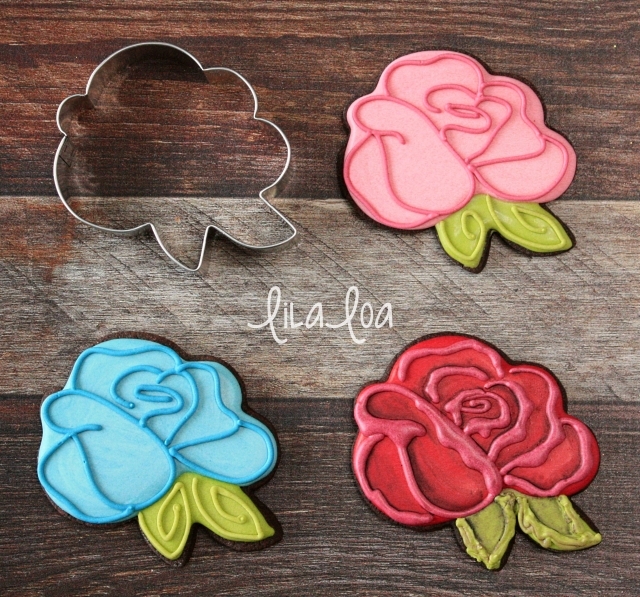 Using a medium consistency light pink icing, outline and fill the rose area of the cookie. Let it dry for an hour. 3. Add leaves with a medium consistency green icing. Let it dry for another hour. 4. 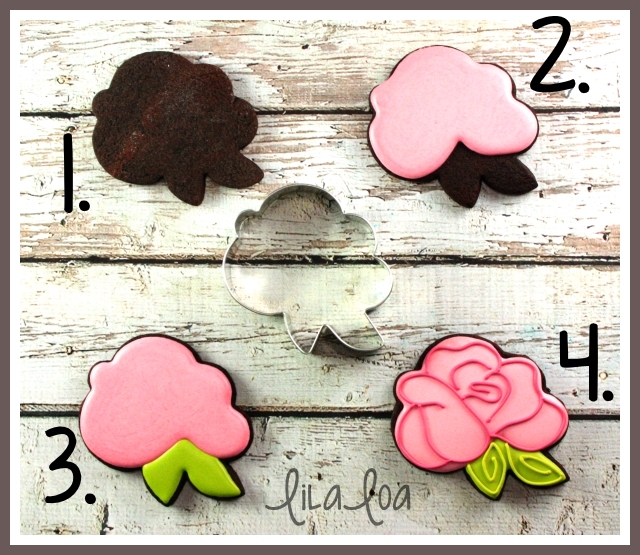 Add rose details with a thick consistency dark pink icing and a #2 tip. Ad the leaf details with thick consistency green icing and a #2 tip. Don't worry. 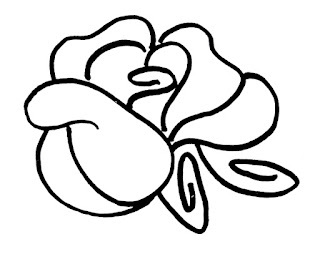 I've got you covered on the rose details. You can use this image in your KK or pico or just throw caution to the wind and do what you want! PS -- Do you SEE that tattoo style rose??!! SO fun to make! Just use a medium consistency icing for the detail lines and make them fatter and uneven. Then add shading inside near the edges. 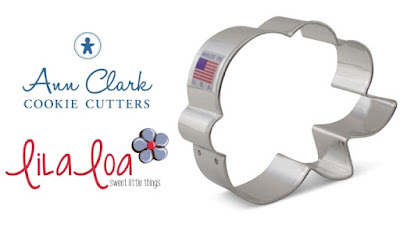 Grab the cutters -- ROSE, BOW, HEART. 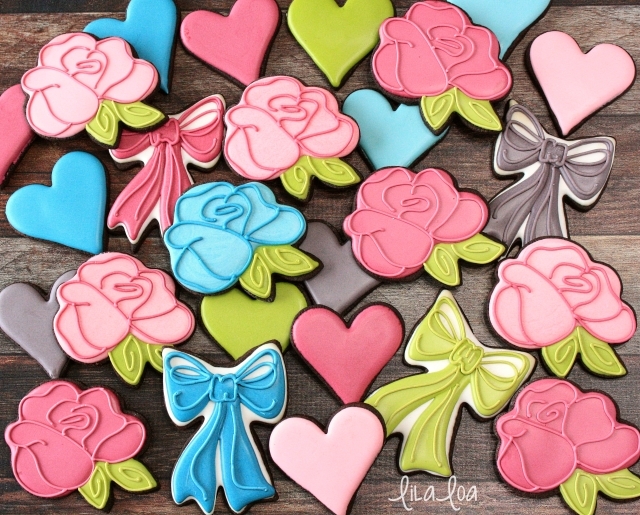 Learn how to make the most gorgeous BOW COOKIES ever with Delorse from Sword's Sugars. See how Sweet Sugarbelle adds details to her SIMPLE ROSE COOKIE.